Feeling ignored and upstaged by her older and younger sisters, middle child Emily March receives an assignment from her freshman English teacher. What one thing would she change about a favorite book to make it perfect? 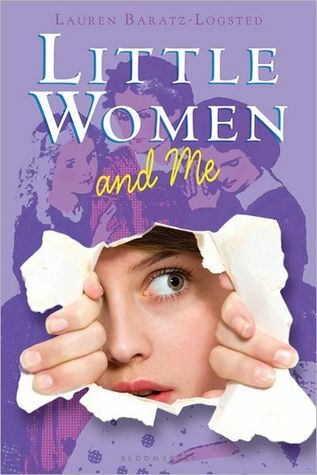 While she ponders whether preventing Beth’s death or fixing Jo’s romance would make Little Women perfect, Emily March finds herself pulled into the book. She finds herself sitting in the March living room listening to Jo bemoan the absence of presents at Christmas. Since she’s joined the March family and there is only one boy in sight, Emily decides that Laurie will be her boyfriend. The author and Marmee point out that each of the sisters has one character flaw which needs correcting. Emily realizes that her flaw is jealousy. By admiring Jo and loving Beth,…by trying to fix a problem in the story, Emily hopes to return to her own time and family. Her observations about life in 1860s America are both funny and touching. Anyone who loved reading Little Women will enjoy this book. Many of us absolutely agree with Emily about the changes she contemplates making to the original storyline.